Follow the links for definitions of the terms specific enthalpy and entropy. 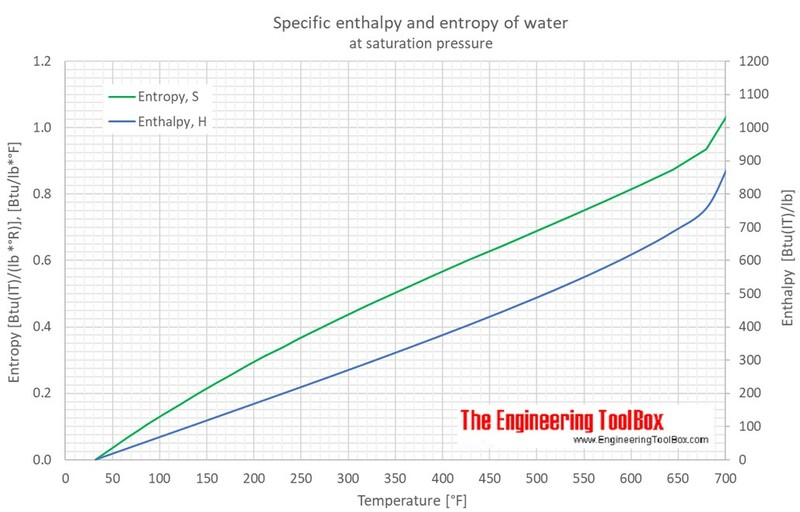 The figures and tables below shows how water enthalpy and entropy changes with temperature (°C and °F) at water saturation pressure (which for practicle use, gives the same result as atmospheric pressure at temperatures < 100 °C (212°F)). See also Water Boiling points at high pressure, Boiling points at vacuum pressure, Density, specific weight and thermal expansion coefficient, Dynamic and kinematic viscosity, Heat of vaporization, Ionization Constant, pKw, of normal and heavy water, Melting points at high pressure, Saturation pressure, Specific gravity, Specific heat (heat capacity) and Specific volume for online calculatores, and similar figures and tables as shown below. For full table with Entropy - rotate the screen! Engineering ToolBox, (2009). 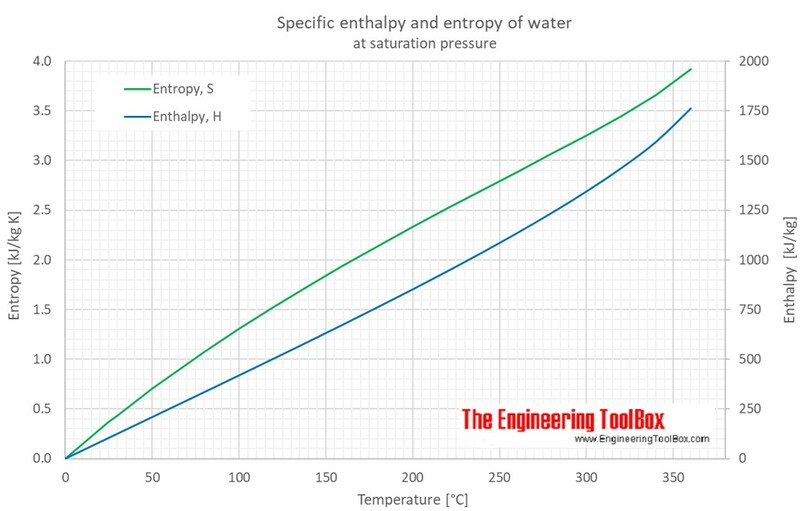 Water - Enthalpy (H) and Entropy (S). [online] Available at: https://www.engineeringtoolbox.com/water-properties-d_1508.html [Accessed Day Mo. Year].